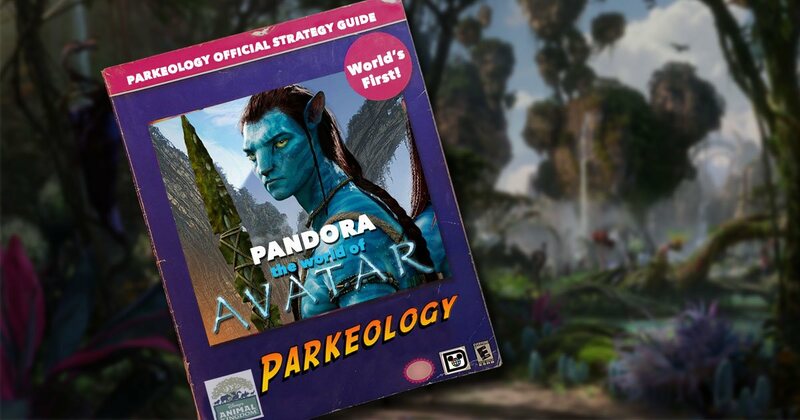 With the grand opening of Pandora: The World of Avatar fast approaching, Parkeology is pleased to offer the world’s very first comprehensive strategy guide for touring this amazing new land. Sure, we resorted to educated guesses for most of it. But that’s a sacrifice we’re willing to make in order to be first. Now you can benefit from our decades of theme park experience to out-wit, out-plan, and out-last the goblin hoards when they descend on Animal Kingdom this summer! At 9 a.m. sharp. Unless Extra Magic Hours. Oh, you meant the opening date? Our money is on Memorial Day weekend, for the reasons outlined here. That means a soft opening a few weeks before. Earth Day (April 22nd) has been a significant date in Animal Kingdom history. For those of you celebrating Famed Naturalist John Muir’s birthday that weekend, you may just get the best birthday gift of all. And if Cast Members tell you it’s not open, don’t believe them. They’re trained to say that. Construction teams are working around the clock to finish installing the giant statues of James Cameron, Tom Staggs, and Joe Rohde as Avatar land speeds towards its opening date. Na’vi River Journey – A boat ride that Disney has compared to C-tickets like Pirates of the Caribbean, proving that Disney doesn’t understand its own definition of C-Ticket. 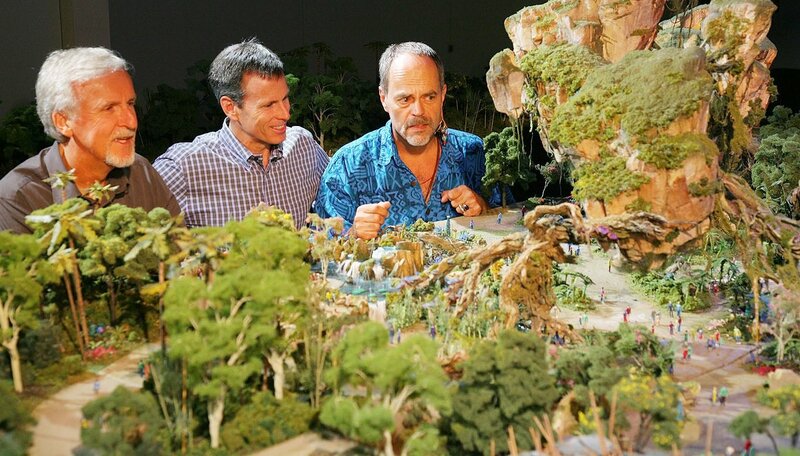 AVATAR Flight of Passage – A 3-D simulator attraction that adheres to Disney’s well-researched naming strategies. Following the lead of recent family-friendly rides like Frozen Ever After and Seven Dwarfs Mine Train, we expect both Avatar rides sold out of FastPasses sometime around last Christmas. Since the rest of Animal Kingdom’s FastPass rides pale in comparison, Parkeology speculates that the park may move to the tiered system already in place at Hollywood Studios and Epcot, where Disney forces you to pick your poison: Toy Story Mania or Rock ‘n’ Roller Coaster? Frozen or Soarin’? Following that logic, you may be limited to only one Avatar ride. Flight of Passage figures to be the bigger draw, the slowest loading, the smallest capacity, and the longest cycle time. So make it your FastPass ride and Stand-By the River Journey. Following the Epcot/DHS mold, they’ll probably toss a third Animal Kingdom ride into Tier 1. Our money is on Kilimanjaro Safari. Since Disney does not want a savage mob coursing through the byzantine corridors of the Oasis, guests will probably be admitted into the park prior to the official opening time. They will hold everyone up in front of the Tree of Life, with one rope over the Pandora bridge and another on the opposite side to Dinoland/Asia. There will be three clueless idiots at the Dinoland/Asia rope. When you encounter them later in the day, point and laugh. Per standard procedure, Cast Members will lead an orderly procession across the Pandora bridge. When the path diverges to either Flight of Passage or Na’vi River Journey, they will drop the rope so you can re-enact the Pamplona Running of the Bulls. 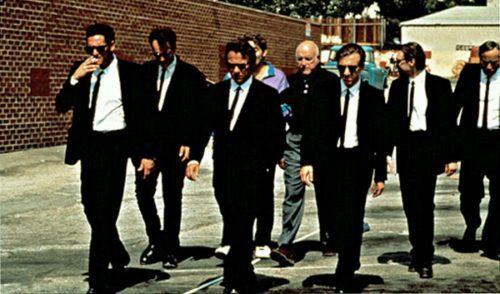 Cast Members will be shouting at you to please perform a slow-motion Reservoir Dogs walk. Obey them at your own risk. Assuming you scored a FastPass for Flight of Passage, head for the River Journey, which will be almost directly ahead. If you are a FastPass loser, then you have no choice but to sprint for Flight of Passage, which will veer off to the right. We would be shocked if Pandora is not offered during morning Extra Magic Hours. If you’re a resort guest, don’t waste this opportunity. If you are not a resort guest, a 90-minute book will help you pass the time in line. If you have a character breakfast at Tusker House, you may be able to enter Pandora from Harambe near the Festival of the Lion King theater, which is less direct than the Discovery Island entrance. Good luck. When Animal Kingdom first opened, it had confusing pathways and minimal signage. This was intended to promote exploration. Instead, small children disappeared and were never heard from again. Pandora is about to double down on this idea. Attraction signage is very minimal and low-key. The two rides share the same showbuilding and everyone clogging the path is a foreign tour group. You could easily hop in line for what you think is Flight of Passage and find yourself an hour later about to order a Naviburger. Want to make it easy on yourself? Exploring on foot will be much easier than trying to navigate the world’s most frustrating go-cart track. The kids are going to want to be up and touching things anyway, since interactive flora and fauna will be scattered everywhere. The most popular character greeting opportunity. It needs to be said: Do not get sucked in by the cool robotic plants when the park opens! If you pause even five minutes for little Johnny Muir to lovingly stroke a purring fern, you’ve just given yourself a 45-minute Stand-By headache. Pet ferns later — preferably after you’ve purchased whatever premium-charge, experience-enhancing gizmo that Disney is sure to offer instead of Harry Potter wands. Forget Mickey Bars and hot dogs. In their quest to capture that Harry Potter magic, all the food in Pandora will be carefully themed. While the restaurant is not very enticing, we do have high expectations for the treats. Na’vi blue ice cream (or whatever they come up with) is going to try hard to become the Butterbeer of this land. And it’s on the Disney Dining Plan, so you might as well try it. When Disney builds new things, it always seems to forget that by July, Central Florida is overflow parking for the seventh circle of hell. 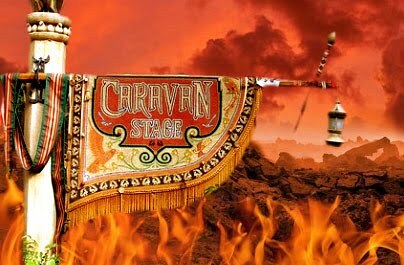 The Flights of Wonder stage opened with no shade and guests literally fried in the heat. And then the birds ate their charred remains. It was disgusting. Everything was moved into a revival tent for a few months while the seating could be covered. When the sun sets, Pandora will transform itself into a nighttime extravaganza you won’t want to miss. Unfortunately, neither will anyone else. With various stage shows and walking tours closed around the rest of the park, expect everyone to jam into Pandora’s congested neon rain forest — at least until Rivers of Light finally opens in 2030. There’s no official show like the Tree of Life Awakenings, so the projection effects may be subtle. But we expect a massive, continually running show to play out on the floating mountains, courtesy of a battery of high-powered projectors. So don’t miss the computer generated forest for the glow-in-the-dark trees. A bioluminescent, touch-sensitive magic forest sounds great on paper, but within a month, reality will intervene in the form of a year-long operating schedule, brutal elements, and massive, massive crowds. Frozen Ever After collapses regularly. The Disco Yeti hasn’t worked in years. Dinosaur’s swooping pterodactyl is still stuck in place. And how many of those interactive experiences in ImageWorks are still operating properly? Hopefully the new M.O.P.S. program will alleviate these technical challenges, but we expect substantial downtime for both rides throughout the summer. Now you’re finally ready! Feel free to share this handy guide with your friends on Facebook and remind them how much of a true Disney insider you are! And if you’re thinking about registering for WDW47, you better do it quick. WDW49 is almost upon us. This entry was posted in Disney Theme Park News and Rumors and tagged Avatar, Flight of Passage, Na'vi River Journey, Pandora. Bookmark the permalink. I’m visiting Disney Memorial day weekend which happens to coincide with the Pandora opening. Is it worth visiting Animal Kingdom opening weekend? I was not able to secure Fast Passes so I feel like I’m going to have major waits all day. I don’t want to spend an entire day at a park waiting in 2 lines. Do you think the other parks might be less crowded? I am staying on site so I do get the Extra Magic Hours but I still don’t know if it’s worth it. As a major park fan, I would have a hard time bypassing Pandora, especially if I don’t get to go frequently. That said, I do think it will have massive lines. I think you would have to sacrifice a good 2 or 3 hours if you’re going to try for both rides. Between Avatar land, Star Wars land and Toy Story land, I’m really looking forward to seeing you two do WDW50-something. Hey, by the time all the lands are done, you’ll both probably be 50-something. What a coincidence, huh? 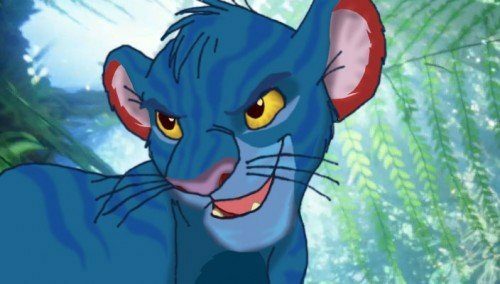 I can see it now. The last ride closes at the last minute leaving Shane curled up in a fetal position and Teevtee laying nearby, staring off into space saying, “the horror… the horror.” I’d love to try it with you guys, but I’m not insane. A little mentally unbalanced maybe, but not insane. We consider insanity a virtue.